Combining the mechanical manual override capability of Sloan SMOOTH (Side-Mount-Operator-Over-the-Handle) technology, the Optima SMOOTH Retrofit is advanced battery-power activation and performance rolled into one mode. 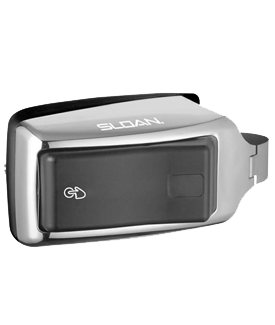 Sloan SMOOTH works out of the box and installs in minutes. Simply slide the unit over the Flushometer handle and tighten the clamp. 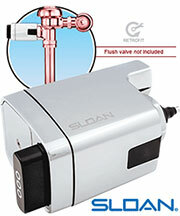 Sloan SMOOTH equipped Flushometers provide the ultimate in sanitary protection and automatic operation. There is no need for AC hookups or wall alterations. The Flushometer operates by means of a battery powered infrared sensor. Once the user enters the sensor's effective range and then steps away, the SMOOTH Unit initiates the flushing cycle to flush the fixture. State-of-the-art Technology enables activation of a manual override without "double flushing" occurring as the user departs (locks out sensor for approximately 10 seconds). The Sloan SMOOTH Flushometer retrofit kit is the next advancement in hygiene. It uses sensor technology to transform manual installations into electronic, hands-free operation. 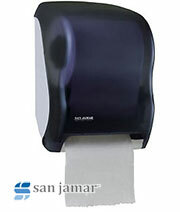 User makes no physical contact with the Flushometer surface except to initiate the Override Handle when required. Helps control the spread of infectious diseases. we installed this product in our new addition and have had no problems with them. They are easy to work on when replacing batteries and work like a charm. 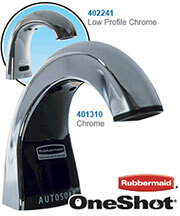 we are now replacing older auto flush valves with this product. Thanks! !